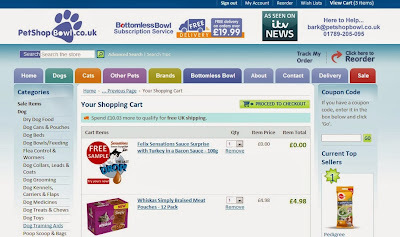 PetShopBowl.co.uk offer customers the chance to purchase the very best items from all the best pet brand names on the market at huge discount prices and deliver them straight to your door. PetShopBowl recognizes that all families are unique, and as such, so are their pets. They cater for all pets from hamsters to Horses and pet owners will be able to find exactly what their pet is in need of on the website. 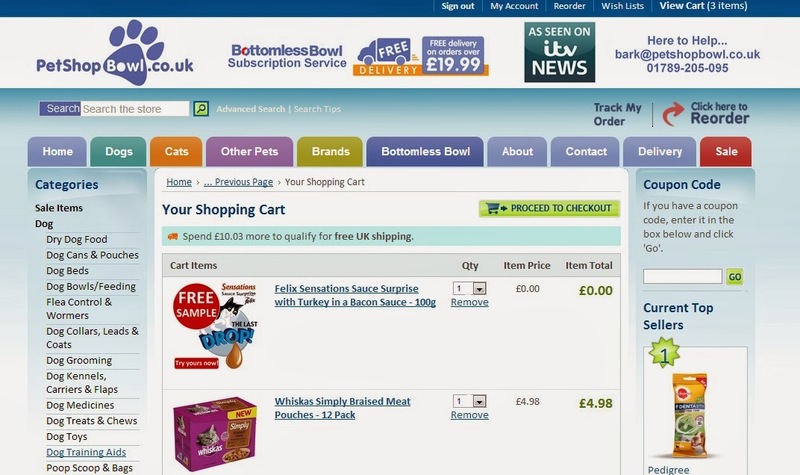 From food, to dog beds and even medicine, PetShopBowl is the one-stop shop for all pet needs. 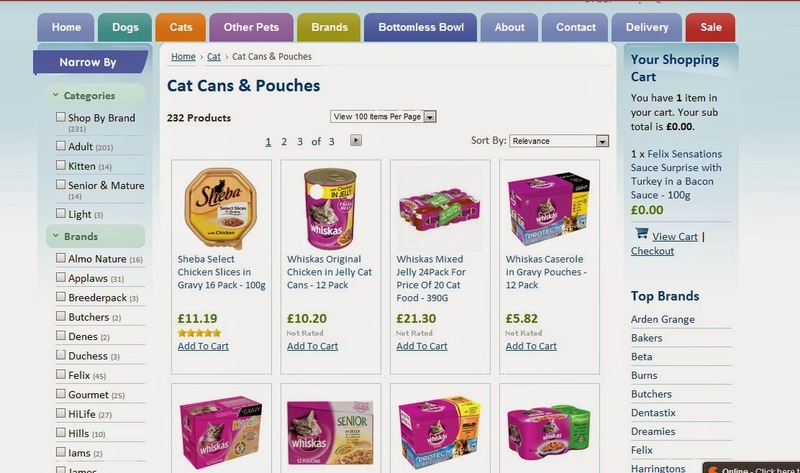 Shoppers can browse through products by brand or even price, enabling them to find what they need easily. I LOVE this website, it's definitely my kind of site. There's search options to help save time when looking for a specific item. There's helpful category options, clearly labeled tabs and lots of choice! 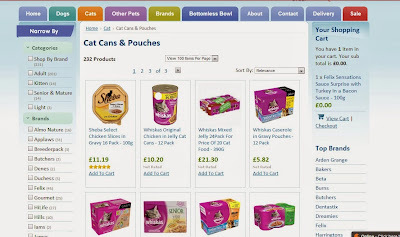 I love sites like these, they've clearly made lots of effort to make it as easy as possible for us the customer to find what we want and quick. I managed to find lots of yummy goodies for my moggy in no time, it was fast and very easy. 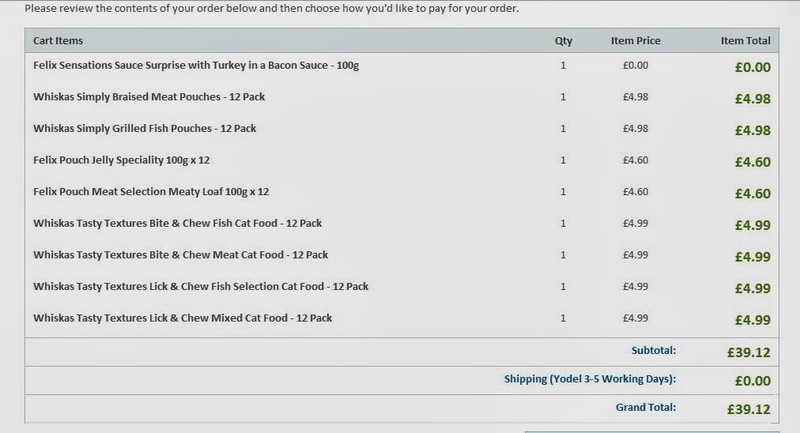 I really like the way you can re-organise the lists into brand or price order, I always like to sort my products into lowest prices first so I can spot the offers. When doing this I managed to find some free samples to add to my cart - bonus! PetShopBowl is bright and welcoming and it's prices are pretty good too. The picture above is the order I made on Monday November 18th. Straight after I was sent an email to confirm it all and even received several text messages to my phone keeping me updated as to where my order was, excellent customer service! Just two days later my order arrived safely and well packaged to my front door. 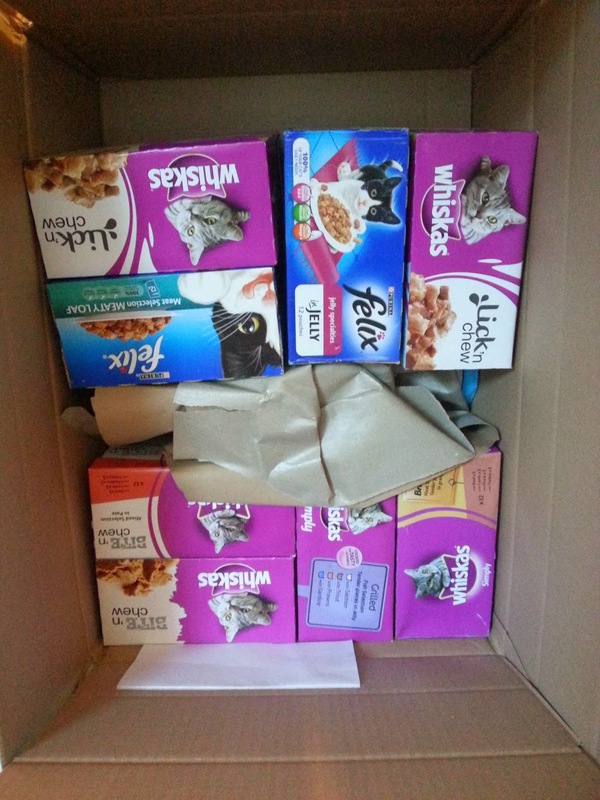 Everything I ordered was perfect, there was not a squashed box in site. 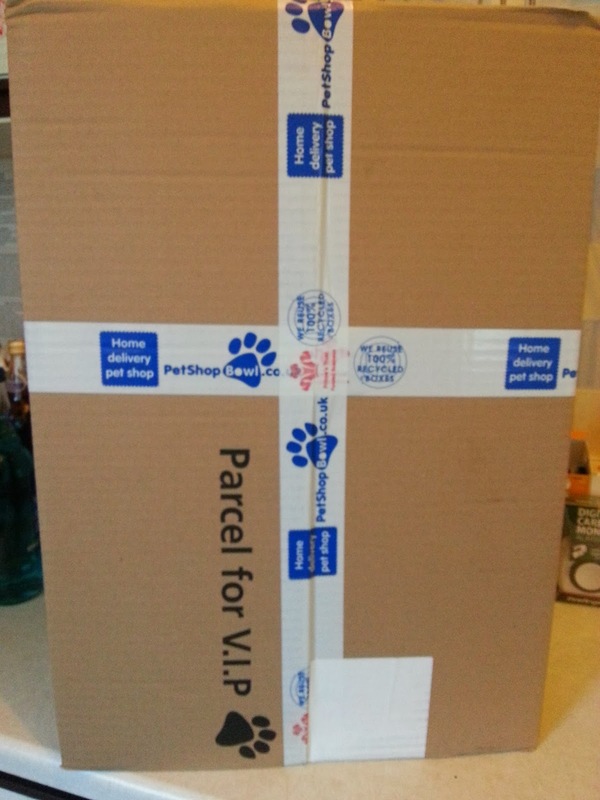 I'm really pleased with the service I received from PetShopBowl, everything was carried out to the highest of standards and I'm delighted. 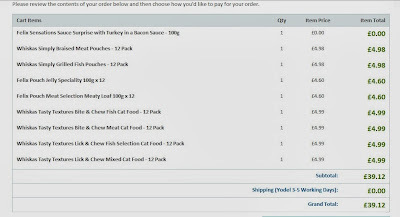 I will definitely be using them again which is great news as PetShopBowl run a very clever Bottomless Bowl service where you can get your order repeated on a weekly or how ever many weeks you may require basis. PetShopBowl get a huge thumbs up from me, I cannot fault them. Their site is fabulous, it's clean, bright and easy to use. Their delivery service is top notch, it's fast and safe and the products are great too. 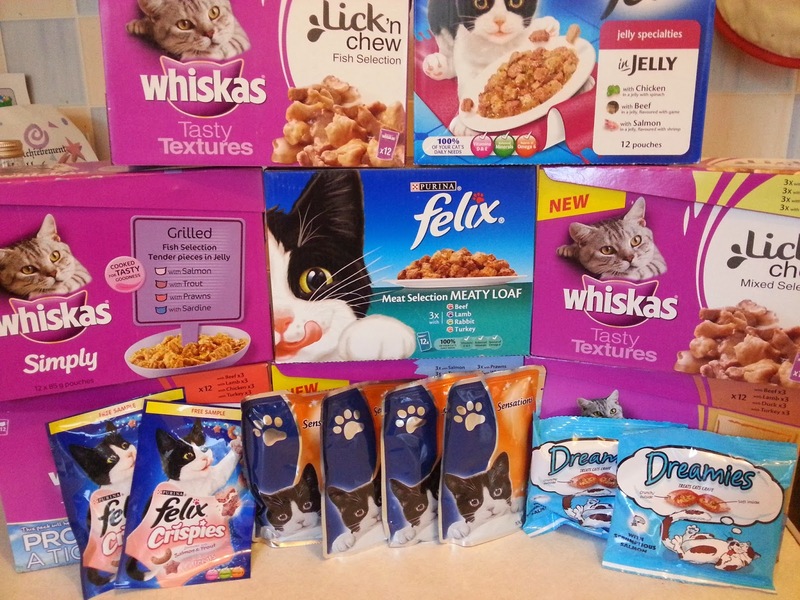 We received a few extra surprises with our order, treat samples. My moggy is one lucky cat right now, he's got enough food and treats to last him a while. We received our order for free for the purpose of this review but that does not affect my opinions expressed in any way. All my reviews are 100% honest.